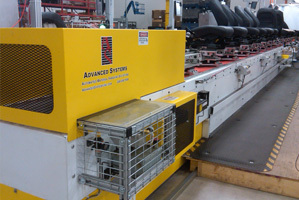 Advanced Systems provides material handling solutions to meet the demands of manufacturing and assembly industries, including to automotive, and their Tier suppliers. 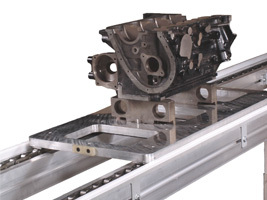 We understand the stringent demands placed on global manufacturers and provide low-cost, reliable solutions for lean manufacturing, flexible processes and just-in-time applications. 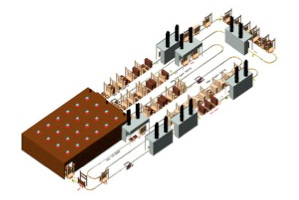 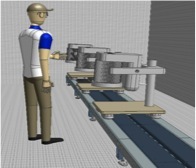 Our solutions incorporate advanced technologies and efficient and cost effetive designs on scales ranging from ergonomic Our solutions incorporate advanced technologies and efficient and cost effective designs on scales ranging from ergonomic assembly stations and robotic automation cells to entire plant layouts. 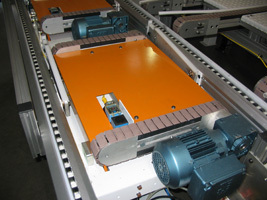 Advanced Systems industrial-scale projects have included heavy unit-load conveyors, specialty lifts and conveyorized trailers.